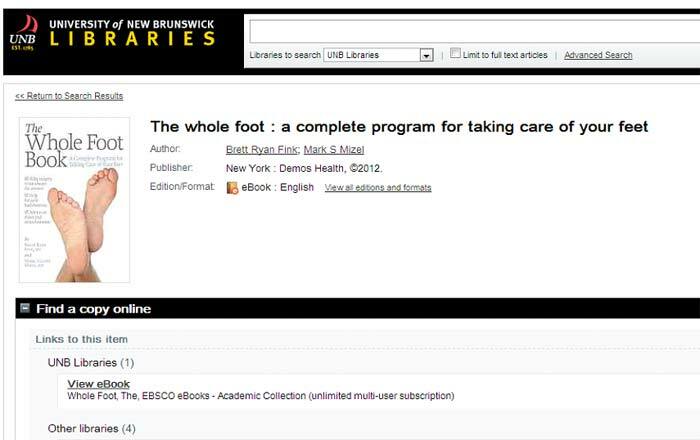 UNB Libraries offer access to tens of thousands of e-books which are acquired as single titles or in bundles, through purchase or subscription, and with single or multiple-user access. If you are planning to use an e-book in one of your courses, this information is for you. The mode of acquisition, the level of access, and the functionality of an e-book platform or reader can have a direct impact on a title's usability as part of a course. Prior to introducing an e-book on a reading list, we recommend that you contact your liaison librarian to ensure stable, ongoing, and multi-user access throughout the semester. We will do all we can to anticipate and prevent any problems arising. Please note that single user titles are not recommended for reading list inclusion. A list of Liaison Librarians can be found online. E-book platforms and access models are evolving such that total control over the medium and the content is elusive: publishers occasionally withdraw titles from a collection or complicate access through a platform upgrade. While there is little the Library can do with regard to the functionality of proprietary e-book platforms, a lost title can often though not always - be replaced. (Unfortunately publisher restrictions sometimes prohibit library purchase of a title. ) We can also frequently purchase multi-user access where single user access has sufficed in the past. Note that not all e-books are downloadable; some can only be viewed online. Before referring students to an e-book, be sure to test the title's readability and functionality, and contact your liaison librarian with any questions. Also be aware that different publishers offer differing "loan periods" for downloaded books (e.g. 7 days, 14 days). Links to e-book chapters can be provided through the Library's e-reserves system and included in course management systems such as D2L Brightspace. To place materials on reserve, please refer to the Manage Course Reserves page. Information on Library Resources in D2L Brightspace and Moodle is also available. Printing capabilities vary by e-book collection and platform. For example, printing one chapter is generally allowed, while some platforms allow up to 50 pages, and some unlimited printing. As much as possible, information on access levels is provided in the bibliographic record. Please see example below. The table below provides information about UNB's various e-book collections and their access levels. Purchased materials are generally stable and unlikely to be withdrawn by the publisher from a collection. Subscribed and Open Access collections are more volatile and titles from those collections may be subject to removal from time to time.